Growing up I was always fascinated with vibrant colours and different cultures… so when I spotted the kiosk full of bright colours while walking through Baywalk Mall, I had to investigate! This is where I met Heera, the owner of Henna St. Lucia. She hails from India, but has lived in St. Lucia around five years now. Heera started practicing the art of Henna tattooing when she was 15 years old. Henna ‘tattoos’ are delicate body decoration made by staining skin with dyes from the Henna plant. Traditionally used in special celebrations in Northern African, Arabic and East Indian countries, Henna has evolved into a much-loved body-art enjoyed around the world. 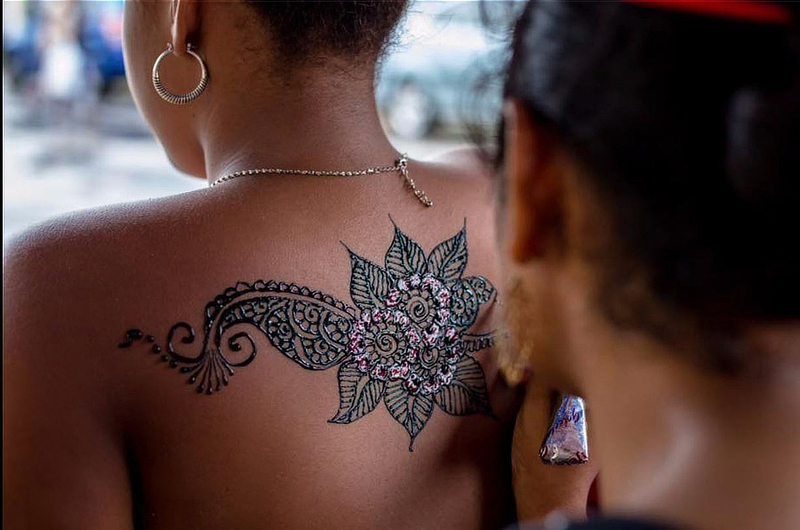 Heera says she gets many requests for Henna during St. Lucia Carnival as revellers love to add intricate henna designs to complement their carnival outfits. The temporary henna tattoo stays on for approximately a week- just long enough to celebrate Carnival ‘Mass’! But carnival isn’t the only occasion of course! The intricate designs are making their way into island weddings and fashion photo-shoots as a perfect detail for special occasions. But back to the gorgeous colours that caught my eye in the first place! 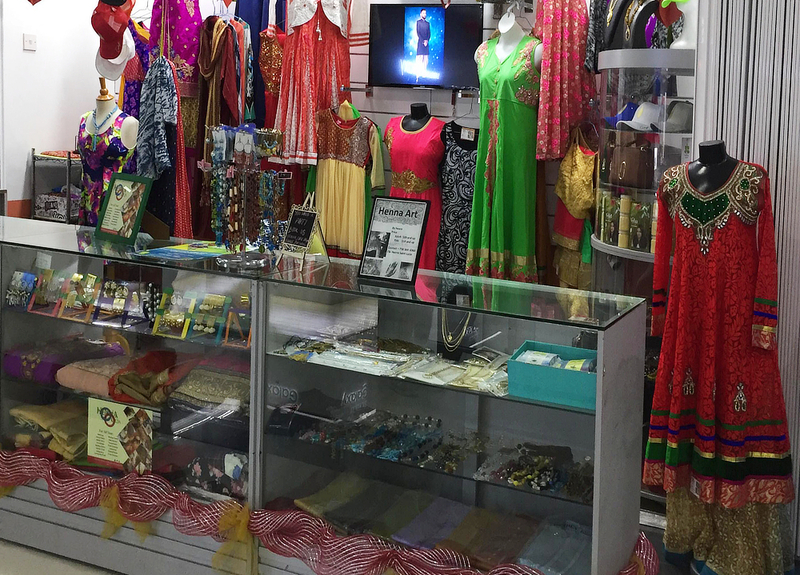 Heera, seeing the growing local interest in all things India, decided to import a beautiful selection of Indian clothing and jewelry, and there’s something for everyone—kids, women and men. The styles are modern-traditional with hand embroidery, beading and jewel-like colours. Great for celebrations of Saint Lucia’s Indian ancestry, or any special occasion—you can’t go wrong! Event bookings accepted – book Heera to do henna-art at your event! Located in the ground floor of Baywalk Mall. Entering from the multi-level carpark entrance, the kiosk is the fourth on the left hand side just opposite The Cell Shop.